DON’T SEE YOU FAVOURITE C-GAMING/E-BINGO CENTRE LISTED? 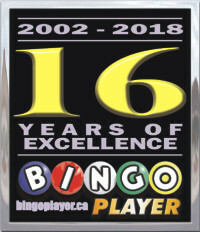 If you don’t see your favourite Ontario Bingo/C-Gaming Centre on our site, please let us know. We will make every effort to contact the Centre’s Owner/Operator and get their information listed. As a Bingo Player, you can also help us achieve this goal by letting the Centre’s Owner/Operator and Head Manager know that you would like to see their information on our website.